It's time for a successful event in the Sooner State? 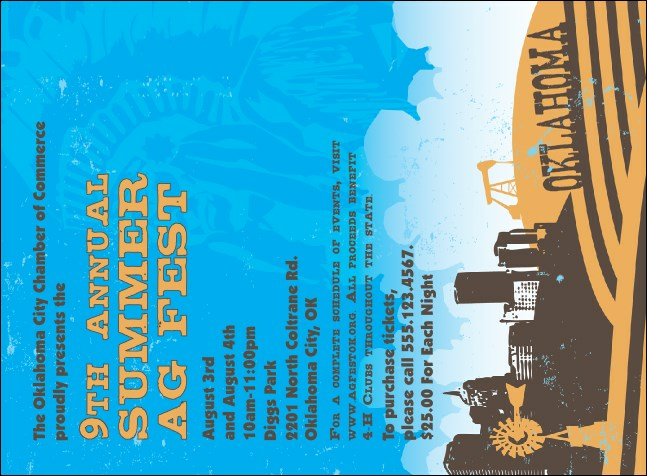 Create a buzz with the Oklahoma Invitation. Printed in color with fields of waving wheat under blue skies each invite has plenty of space for your information. From sea to shining sea, TicketPrinting.com has an Event Kit for you.